Booza (بوظة), an ice cream that hails from the Levant and Egypt, is known for two qualities, its stretchy consistency and its ability to resist melting. The elasticity comes from mastic, the resin that makes Turkish Delight delightfully chewy, and its prowess in fending off the consequences of Middle Eastern heat stems from sahlab (aka salep), a thickener that’s also used in beverages and puddings. The stylish Republic of Booza offers seventeen flavors in three categories: classic (like vanilla, chocolate and strawberry), global (like horchata, red miso and mango-tajín) and “experimental” (like salted Oreo, Sichuan white chocolate and saffron peppercorn). Always eager to explore the roots of an ethnic dish before venturing into a more fanciful rendition, I chose Original Qashta, subtitled “candied cream”. (And I coyly chose “roots” here because sahlab is made from ground orchid tubers.) I was familiar with the word qashta from my Bay Ridge, Brooklyn ethnojunkets where it appears as ashta (colloquially) or kashta (more formally) and refers to the Middle Eastern clotted cream spiked with rose water or orange blossom water that suffuses many desserts of the region. My second selection was pistachio, simply because it seemed like an appropriate option given the territory. 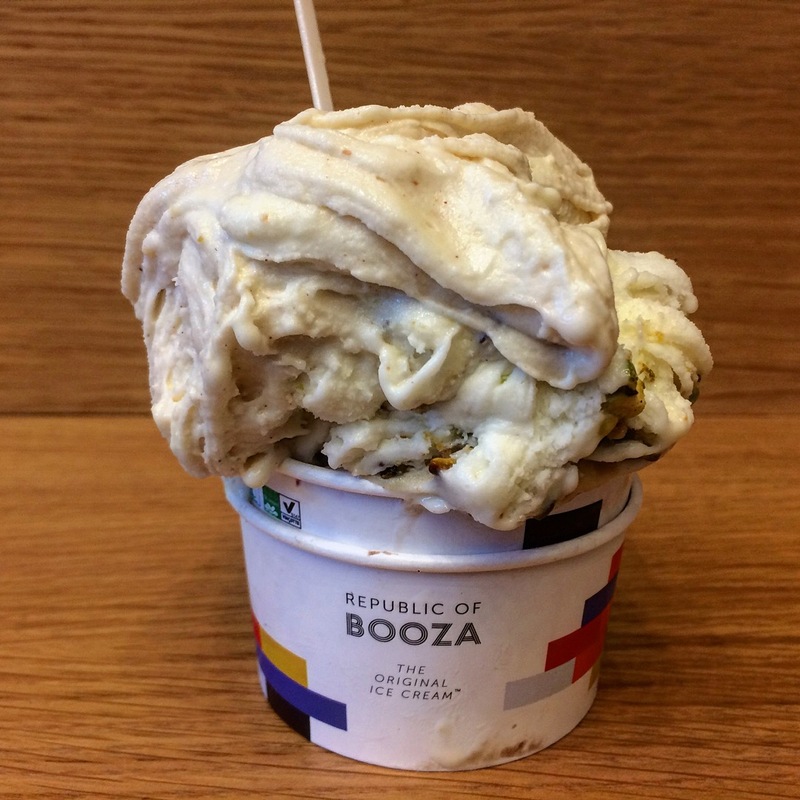 Because there’s no overrun (air that’s a component of most commercial ice creams), booza is remarkably creamy. Both flavors were delicious and the texture was a cool experience. Since July is National Ice Cream Month, I’ll be writing a featured post about ethnic ice cream here on ethnojunkie.com in which I’ll attempt to run the global gamut of frozen, creamy treats. For now, I highly recommend your making the journey to Republic of Booza at 76 North 4th St in Williamsburg, Brooklyn (no passport required), especially in this heat. 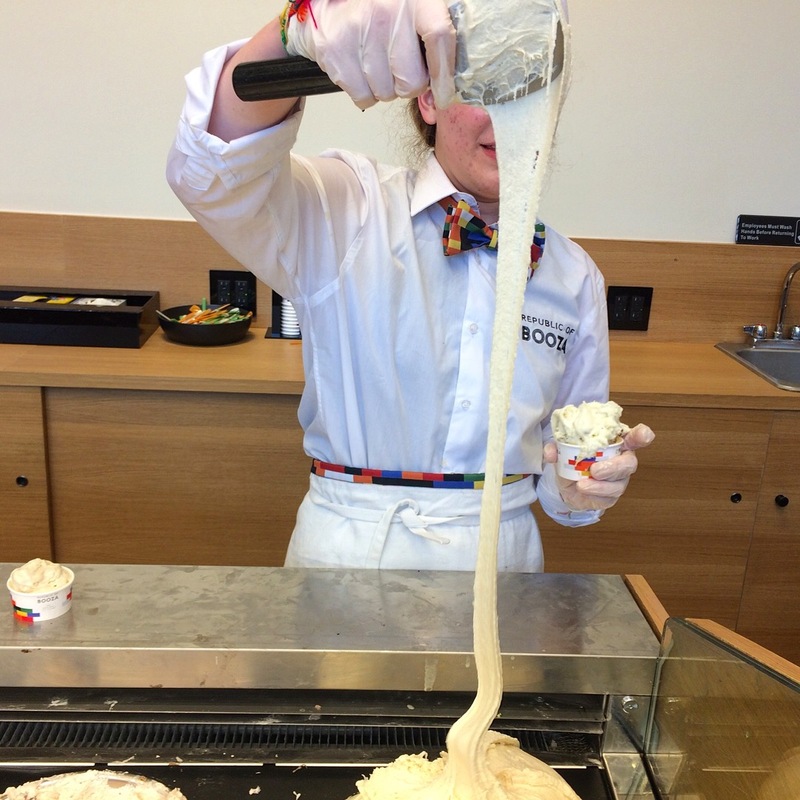 Suffice it to say that this may be the most unusual ice cream you’ve ever tasted…and that isn’t a stretch! This entry was posted in Good Eats, Instagram, Sweets and tagged Middle Eastern by Rich. Bookmark the permalink.